A Seventh-day Adventist school in western India was founded because of a missionary’s vision and the kindness of a king. The Alate Seventh-day Adventist School is located in Maharashtra state in western India. Students are expected to work two hours a day, cleaning classrooms, tending the garden, or helping in the cafeteria. Such a work program helps students learn responsibility as they develop a growing pride in their school. A new 14-room classroom block, scheduled to be built with funds from the Thirteenth Sabbath Offering, will replace an aging structure that is too small to accommodate more students. The new structure is one step in updating facilities and enlarging enrollment at this Adventist outpost in western India. To Sabbath School teachers: This story is for Sabbath, July 22. Click here for photos to share while telling the mission story. Alate [pronounced: ah-LAH-teh] Seventh-day Adventist School is now praying for the kindness of church members worldwide. It hopes that this quarter’s Thirteenth Sabbath Offering will provide a much-needed classroom block for its young students. 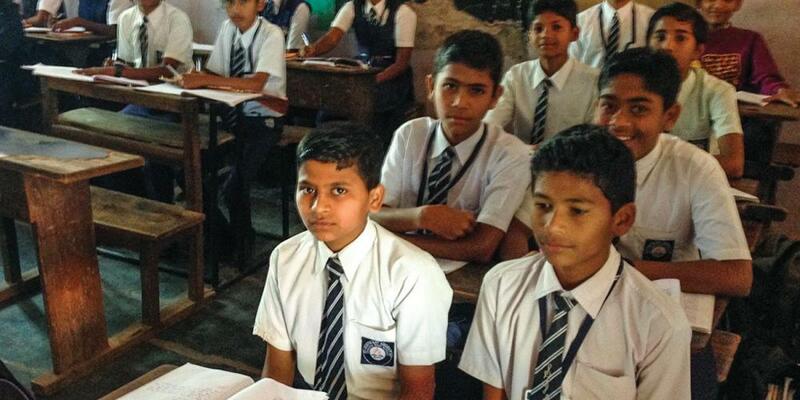 The principal of the Alate Seventh-day Adventist School, Manohar Karnad [pronounced: MAN-oh-har KAR-nad], said the school faces the same problem today that it faced in 1960, when it closed for two decades. Its infrastructure is old. The school is located on 17 acres [7 hectares] of parched dirt just up the road from a luxury private school. The other school is located on 150 acres [60 hectares] of hills and green meadows. Mr. Karnad said the luxury school and other newer schools in the area make it difficult for the Adventist school to be competitive. But he pointed out that the school has something that the other schools don’t have: a uniquely high standard of education. The school, which has 260 students, is known for helping children whose families cannot afford tuition. The Adventist Church obtained the land where the school stands in 1920, when King Shahu, ruler of the local region, struck up a friendship with an American missionary named S.O. Martin. The missionary replied that he would like a piece of land. The king had one requirement: that the missionary build a medical clinic and school on the land. A medical clinic was built on the land and operated there until 1981. The school opened in 1943 but closed in 1960. The school’s closing took a toll on Adventist work in the area. “But,” the principal said, “God helped us to reopen the school in 1981,” and it has continued since then. Today, five buildings dot the school’s campus. Mr. Karnak and his wife live in the missionary’s old house. A section of the house is walled off for the girls’ dormitory. Boys live in a dormitory on the other side of the campus. All students are expected to work two hours a day. Some work in the vegetable garden, while others cook and wash in the cafeteria. These work-study jobs help students learn practical skills and the value of physical labor as well as studying. “We are not afraid of hard work,” Mr. Karnad said. What the school really needs, he said, is the 14 new classrooms. About 30 percent of the students are Adventist. Another 30 percent have other Christian backgrounds, and the rest come from other religious traditions. Please remember the Alate school and its students in your prayers and with your Sabbath School mission offerings.